Can You Spare $45T to Curb Global Warming? The International Energy Agency says the world needs to invest a whopping $45 trillion to reach the goal of reducing carbon-dioxide emissions in half by 2015. The world needs an extra $45 trillion in clean energy investments to avoid a climate-change tipping point, suggested a report from the International Energy Agency (IEA) on Friday. 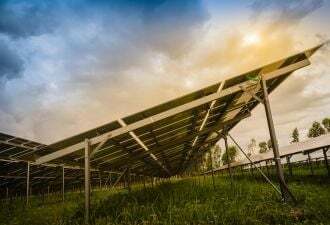 The agency concluded that this significant amount of additional investment is required to cut carbon dioxide emissions by 50 percent by 2050. That amount, coming on top of the investments that already would’ve been available, would limit global warming to 2.4 degree centigrade. The benchmark was set by the Intergovernmental Panel on Climate Change (IPCC). 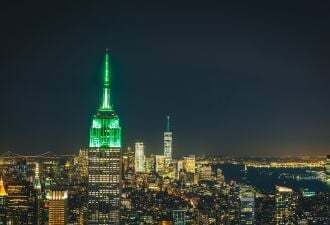 The IEA, which advises the United States and 26 other nations, also warned in its report Friday that if no additional measures are undertaken to curb CO2 emissions, the temperature is expected to increase 6 degrees centigrade by 2100. The rising temperature could significantly affect agricultural productions and spark conflicts among countries fighting for natural resources. Created by the World Meteorological Organization and the United Nations Environment Programme, IPCC released a landmark report last year that laid out in details the possible causes and effects of climate change (see IPCC Report Forecasts More Trouble Ahead and Can Technology Save the World?). CO2 emissions will rise 130 percent and oil demand will grow 70 percent by 2050 if the world’s governments do not change their policies to promote clean energy and curb emissions, said Nobuo Tanaka, the IEA’s executive director, in a statement Friday. The IEA report outlines 17 technology categories that will need the investment boost, including transportation, CO2 capture and storage, solar and wind energy, and energy-efficient appliances. The agency said research-and-development money for these technologies has decreased in recent years, a trend that must be reversed quickly. One renewable-energy firm, New Energy Finance, believes that the reversal is possible. Overall clean energy investment has grown 60 percent from 2006 to 2007 to reach $148.4 billion, said the London-based firm. Given the right incentives, the global investments should reach $450 billion per year by 2012, said Michael Liebreich, chairman and CEO of New Energy Finance.